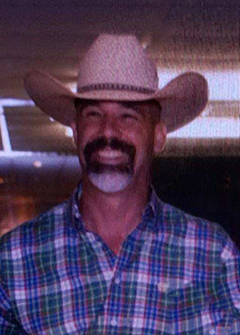 Patrick Grant Helveston, 46, of Beaumont, died Wednesday, January 2, 2019. He was born on September 13, 1972, to Etta Hebert Helveston and Claude Helveston, in Nederland. Patrick was a 1991 graduate of Hardin-Jefferson High School. He graduated from Lamar University with a BBA and just three classes short from graduating with a Master of Business Administration. Patrick loved his “girls”-wife, DeWona and two daughters, two dogs, and of course his Harley Bikes. He was currently employed by Plus 4 Credit Union. Survivors include his wife, DeWona Helveston; daughters, Rayne Helveston, Airman First Class of Anchorage, Alaska and Citori Helveston of Beaumont; parents, Claude and Etta Helveston of Beaumont; brothers, Dominick “Mick” Helveston and Cody Helveston and his wife, Morgan, of Beaumont; nephews, Lane Helveston and his fiancée, Erin Vassar; Kenzie Helveston; and Cade Helveston. A gathering of Mr. Helveston’s family and friends will be from 5:00 p.m. until 8:00 p.m., with a Rosary recited at 6:00 p.m., Monday, January 7, 2019, at Broussard’s, 1605 North Major Drive, Beaumont. His funeral service will be at 2:00 p.m., Tuesday, January 8, 2019, at Broussard’s, with interment to follow at Magnolia Cemetery, Beaumont. Truly a great loss. From the bottom of our hearts, our prayers go out to Rayne, Citori, you and the entire family. May God give you strength and comfort in the days to come. Claude and Etta, I was saddened to read about the loss of your son Patrick. I went to school with CLaude. Patrick was an incredible co-worker. His positive attitude was always uplifting. My prayers go out to his family. May God hold you in his loving arms and comfort you during this time. Chris and I were so sorry to hear of Patrick. Patrick was such a fine young man and always a small on his face. I know he is in heaven with Chris and they are looking down at us for sure. Prayers of comfort to DeWona, his daughters, and family. Rest in peace Patrick until we all meet again . Kathryn and Chris Hinojosa, Sr.
I’m so sorry for your loss. You, your family and friends will always be in my thoughts and prayers . God bless you all. As a coworker of Patrick's his smile and laugh around the office will forever be missed. My prayers for the family and for his beautiful soul. May God bless him and his family in there time of need. Patrick will be truly missed at Plus 4 CU always cheerful and up beat my condolences to the family you will be in my prayers. I will miss you dearly! The laugh, your jovial spirit and the stories. To the family, accept my sincere condolences. Prayers to you all for your loss. So sorry to hear about Patrick. He was my secret Santa at work. Really enjoyed the presents he sneaked on my desk. I am going to miss him. RIP Patrick. God of all comfort, who comforts your children in times of affliction, comfort those who are grieving in their time of extreme loss. God of peace, govern their hearts in this time of great confusion. Help them to take their thousand questions and “what ifs,” which swirl furiously in their minds, to Jesus, the Prince of Peace who has the power to calm the storm. God of mercy and grace, may they know your presence as you walk with them through this valley of death. May they know—in an experiential, not merely intellectual way—the sufficiency of your grace. God of truth, gently lead them to the green pastures of your Word where they will feed their hurting, doubting souls upon all your righteous judgments and faithful promises. I'm sorry for your loss. May the God of all comfort be with you durin g this difficult time. You have my condolences. John and I are so very sorry to hear of Patrick's passing. We send our love and condolences to all who loved him. We will keep you in our prayers and will pray for Patrick's eternal rest in the Peace of our Lord, Jesus Christ. John and I are so sad to hear of Patricks demise. Praying for all of you and thinking of you all everyday. Love you all. God bless you all. I'm praying for you and your family, Brother. You made a positive impact on my life as one of the best coworkers I have ever had the pleasure of knowing. May GOD bless your soul and your family in this difficult time. I am so very sorry.. Continued prayers for your family! Claude and Etta, DeWona, Rayne and Citori, I am so very sorry for your loss of Patrick. He was such a very nice guy. I pray that God will give you comfort and peace. As you all go through this sadness. I know you all have precious memories of him that you can now hold on to as your treasures. We love y’all and will continue praying for you all. Ronnie and I are so sorry to hear this sad news. God rest his soul and send comfort to all who loves him. Etta, my heart goes out to you. We are so sorry for the loss of your dear Patrick. We are praying for God’s peace and comfort and strength for each of you. We love you. Love you Pat!! A true friend indeed! Will miss our talks! Take your rest friend! Words can't express how deeply sorry I am for Patrick and his family. Etta and Claude this breaks my heart, I can only image your pain. I will keep praying for closure and comfort for you and the rest of the family. Patrick, this news makes your third grade teacher very, very sad. Even in 3rd grade you always had a smile on your face -- probably because you and your buds were up to something that I would have to fuss at you all about!!! I am praying for comfort and peace for your family and many friends. You have been an awesome and amazing friend. I wish I could have been half the friend to you that you were to me. I’ll miss you till I meet you at the gates. I love you and love your family. You are all so invaluable. Till we meet again, I hope you’re getting homemade bacon bits. In heaven; although I would have mad them for you here. From the first time I met the Helveston Clan, I've never seen Patrick without a big smile or laughing. Patrick made everyone feel welcomed. He loved all of you sooo much! Patrick was such a nice Man . He sure loved his girls!!! I love you Rayne - your daddy was so proud of you. I am so sorry for your loss. You are all in my thoughts and prayers. May God wrap his arms around you and give you comfort. I love you Patrick. You are definitely missed. Claude (Bo) and Etta so sorry to hear about Patrick. Prayers sent to your family.